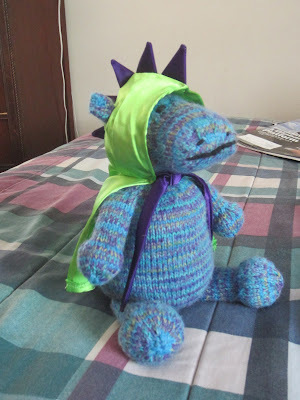 "Darling Hippo, If Phin really loves you, he will make you a little dragon costume cape with spikey spines down the back..."
Well, Phin doesn't sew, but when reader Kimbersew made the above comment, the seed was planted. Phin's Hippo needed to realize his dream of becoming a dragon. 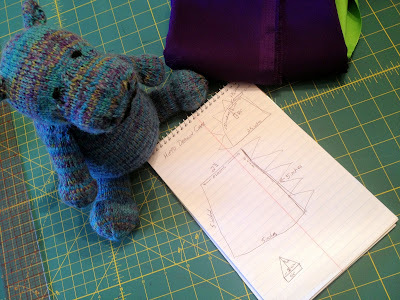 And we took some measurements. 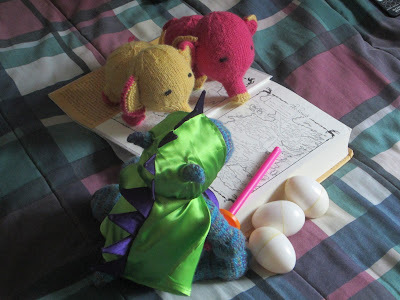 And very soon, a dragon was born. Where are those other dragons? 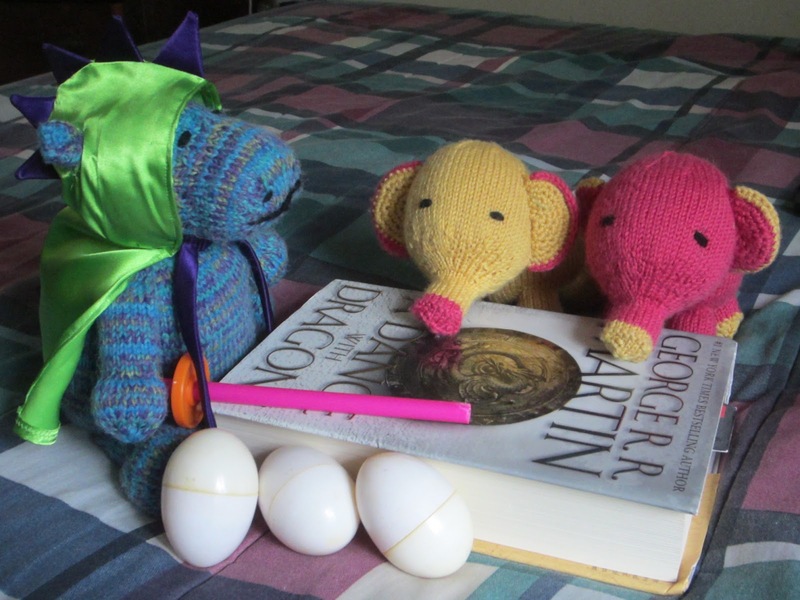 ...seeking out the other dragons of Westeros. I must confess: I did actually have to buy the fabric for this project - inexpensive satin in purple and green. But it was worth it - this was a fun make. I'm such a sucker for costumes. 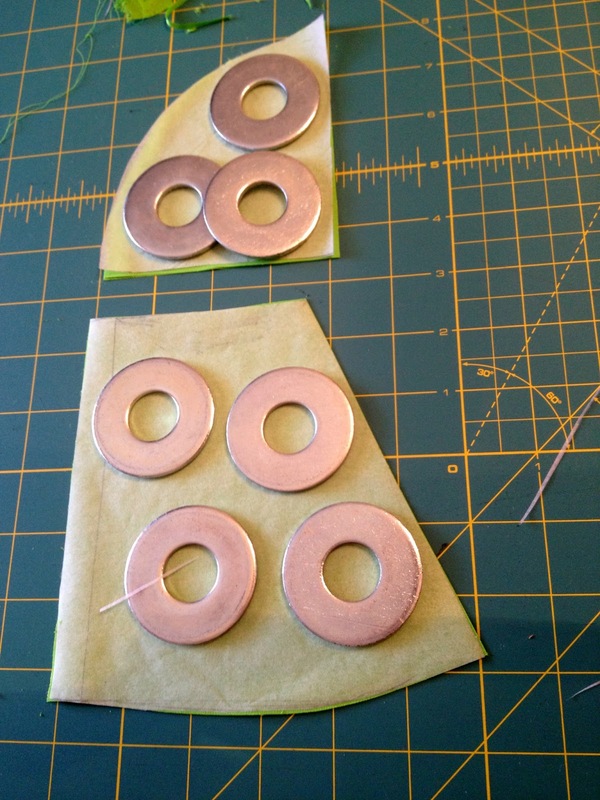 I'm not sure which is my favorite feature of this project, the spikes or the button holes for the ears. This was the perfect fun little project to get back into the swing of things before tackling more challenging sewing last weekend. And it was just so dang silly, that I couldn't stop smiling and laughing as I sewed. I think that Phin may have had just as much fun with the camera. I had a really productive weekend and have a 4 day weekend coming up. So, stay tuned for lots more sewing updates. i love it. and yet another defender to help trample your enemies, for when Hippo needs the extra bit of confidence. Gahhhhhhh!!!! Wwwoooooooooo! and Brilliantly executed! ear holes! So cute, it almost hurts!!! hehehe!! 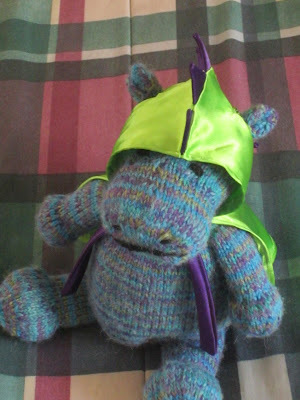 I *love* hippo and his cape! I have a thing for hippos, and I think this will make me smile all day long - thanks! Sooooo cute! 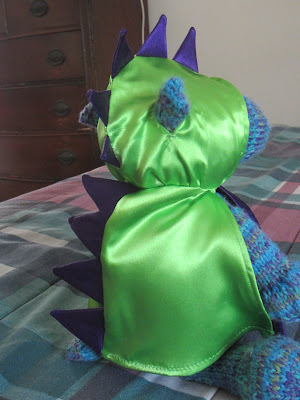 I've not ever given much thought to sewing stuffed animals, but it seems fun! I like his yarn, I used that same yarn (in that same color too) to crochet socks once. Honestly, I was wishing I had more of the yarn when I was done - the colorway is great. I bought it to make socks, but then the Hippo called... c'est la vie! ha, this is adorable, especially with all the fun poses. too cute! OMG that is so hilarious and cute!!! Cutest thing I've ever seen. I seriously neeeeed a hippo dragon!!! love it! The little ear slits. I die. So adorable.